On April 21, 2016 NASA released the information on their creation of the first 3D printed rocket engine fuel pump. 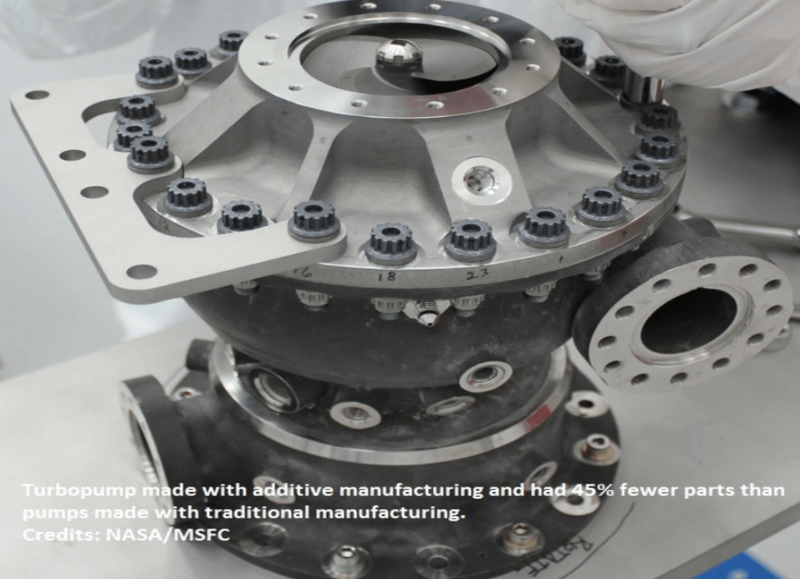 The 3D printed part is able to work well with liquid methane and liquid hydrogen propellant, while withstanding temperatures of up to 5,000 degrees Fahrenheit, according to Mary Koelbl, NASA’s manager of their Propulsions Department. Typically, rocket parts are manufactured through investment casting, which can take up to a year to make error free. However, 3D printing provides a significantly faster turnaround with fewer errors. NASA has successfully proven that the innovative capabilities of 3D printing can provide a reduction in lead time and cost of materials used for their hardware. © 2015 3D Fixtures. All Rights Reserved.